The Young Entrepreneurship Scheme (YES) is a Government initiative that aims to empower Fijian youths. This was the statement made by the Minister for Industry, Trade, Tourism, Lands and Mineral Resources, Faiyaz Koya during the closing of the ‘YES – Start Your Business training workshop’ in Labasa yesterday. Mr Koya said the workshop was to share skills and knowledge. 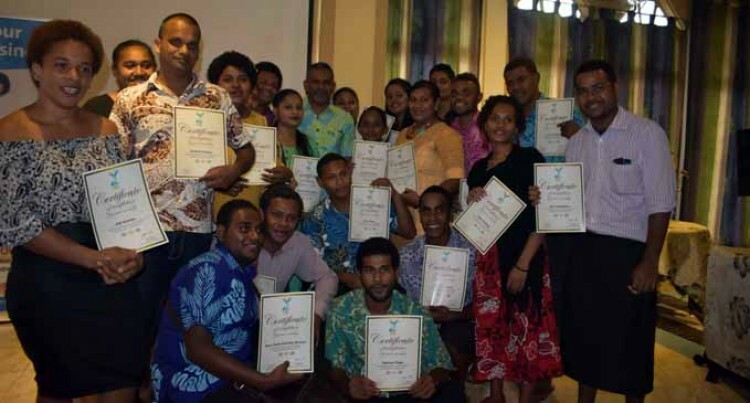 “The training covered business start-ups, including business and marketing plan writing, legal responsibilities of a business, costing and pricing, and cashflow, to name a few,” Mr Koya said. “In the next five years, Government will continue to carry out its work by strengthening initiatives for training empowerment and awareness programmes for our young people,” he said. Ana Tuiwainunu, 27, a participant, said the workshop was something she needed to attend. “I saw the advertisement in the paper so I applied,” Ms Tuiwainunu said. “I am happy that I applied because I have learned a lot about business in these few days. Another participant, Inoke Drauna, said attending the workshop has motivated him to start a business of his own. “I count myself blessed for joining the workshop,” said the 27-year-old. “The workshop has given me innovative ideas of how to start a business and I have come up with one,” Mr Drauna said. “We always think that business planning was very hard when trying to manage it all alone so we usually go to a consultant in order for them to do a business plan. “It was upon this training I got to know the concepts in order to execute of all those proposed plans.” There were 22 participants at who attended the workshop that began on Monday and ended yesterday.